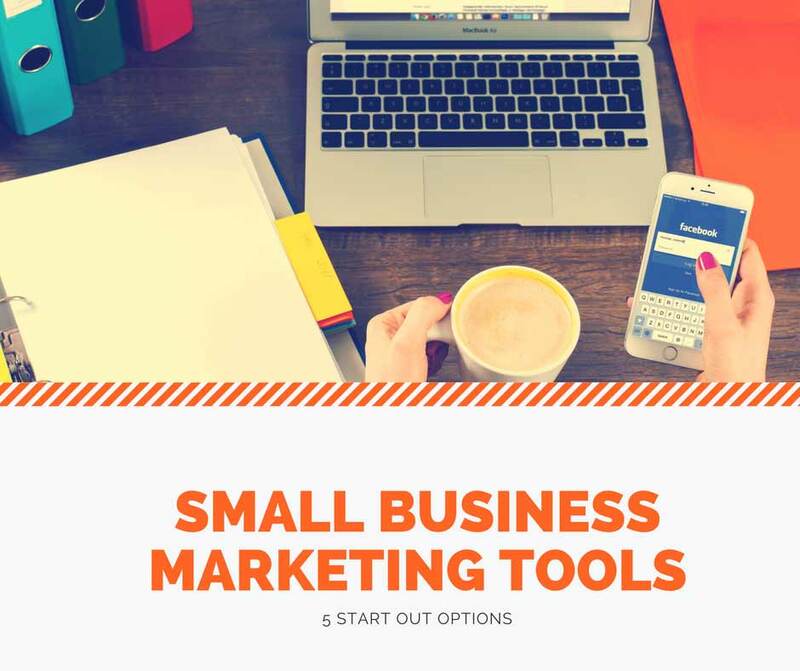 As a small business owner the likelihood is you don’t have time to try out every marketing tool out there, so here we’ve focused on some of the basics to get you started. It’s important that you can send clients and referrals to your website so that they can find out more information about your company and offerings. You don’t have to have a flashy website; but a few pages with a description of your service or products, some information about the company and a way to contact you is a good start. If you buy a domain name and web hosting for your website, then you will have your own web presence and customers will be able to access this online. If you only have a social media presence this is risky as you have no rights to retain the data or contacts you have built up over time if the network decides to cancel your account. By signing up for a Google My Business Account, you can get your business listed for local search and Google Maps. Simply follow the sign up link and follow the verification process, which usually involves Google sending out a postcard to your address with a verification code for you to add to your account. Google My Business allows you to update your business details via their App or website and provides you with insights so you can find information such as how many users found your listing via search and maps. You may also want to add your business to local directory listings such as True Local or Yellow Pages. This is an excellent way to get new clients and it won’t cost you a penny. Let all your friends and family in your network know about your business and what you are offering. This is extremely valuable in those first few months when you need to build up experience and grow your business profile. Once you have a few happy customers, ask them for testimonials or to leave online reviews. These will become valuable trust signals for your website, business listing or social media to help convert visitors into customers. Social Media is a great way to engage and grow and audience alongside your website, as long as you have the time to post regular engaging updates. Unless you have a dedicated person or team working on your social media, try to stick to one or two channels such as Instagram or Facebook and do a great job on these. By posting regularly and investing time into planning interesting and engaging posts, you will see much more value from your time investment. If you try to tackle many channels you could run the risk of providing lower quality or not having the ability to post regularly enough, which will make it hard to engage existing followers or to get new ones. Content might include tips and advice, details on your latest product or service, promoting a blog post or sharing a piece of content that is relevant to your industry. Online advertising is a great way to get in front of new clients and showcase your service or product. A correctly presented advert to the right audience can do wonders for your return on investment. What are they searching for? What would make them want to do business with you? If you are sending the user to a web page, ensure that it is optimised for the goal you are trying to achieve. Ensure that the web page answers any questions your prospective customer may have and that it allays any potential concerns in purchasing your product or service. Make sure that there is a clear call to action. Test that your links work correctly on desktop pc and mobile. Trust signals are also important when new customers are arriving on your website, so this is where testimonials will be helpful along with any other statements about how your product or service has made a significant impact on your previous customers. These tools are a great way to start promoting your business and help potential customers reach you. Which marketing tools have you found useful for your small business?